There's nothing like a cup of hot chocolate topped with whipped cream on a cool winter day. Like many other hot beverages, this classic winter drink has stepped up its game in recent years and gone a bit gourmet. Enthusiasts can be thankful that being served a cup of dried cocoa powder and boiling water is fast-becoming a thing of the past. Steamed milk combined with chocolate syrups, or even melted chocolate, topped with a generous dollop of whipped cream is now becoming more the norm, even at fast food restaurants. I recently set out to find the best available for a few dollars or less. Below, you can see each cup I was served from Starbucks, Caribou Coffee, McDonald's and Dunkin' Donuts. "Steamed milk with vanilla- and mocha-flavored syrups. 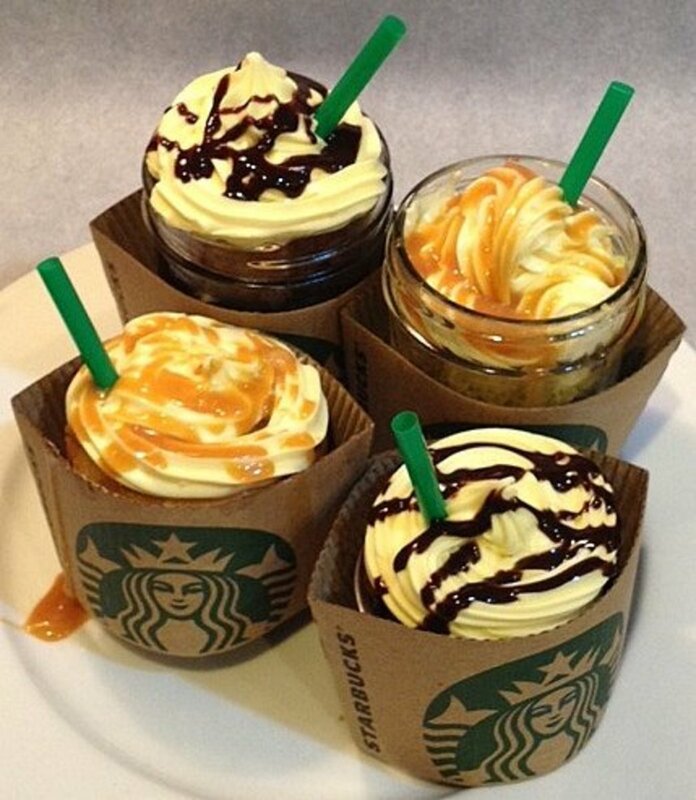 Topped with sweetened whipped cream and chocolate-flavored drizzle." Curious to see if Starbucks could do for hot chocolate what they did for coffee, I was eager to give theirs a try. I ordered a tall classic hot chocolate and within moments was served a very delicious and satisfying drink. 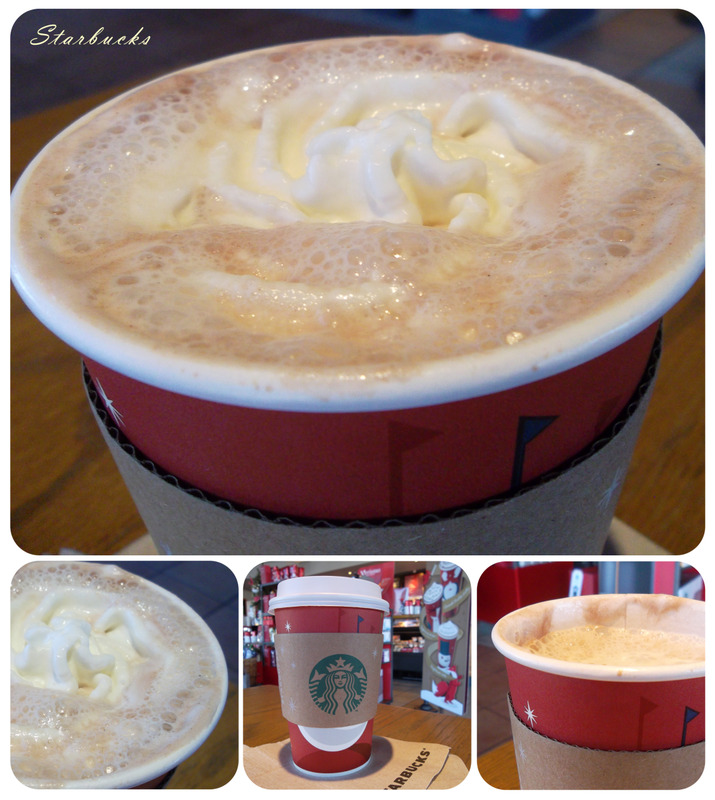 With the whipped cream already melting on top, this Starbucks rendition was both creamy and flavorful. The vanilla and mocha syrups added to the steamed milk hit the perfect chocolate flavor note—not too rich, not too weak. My only disappointment was that the chocolate drizzle was left off, which for me was merely an aesthetic miss. All-in-all, this was a great cup, especially for the price, and I will definitely be going back for more this winter! "We melt premium chocolate of your choice (dark, milk or white) with steamed milk and then top with whipped cream and chocolate chips to create our decadent hot chocolate." 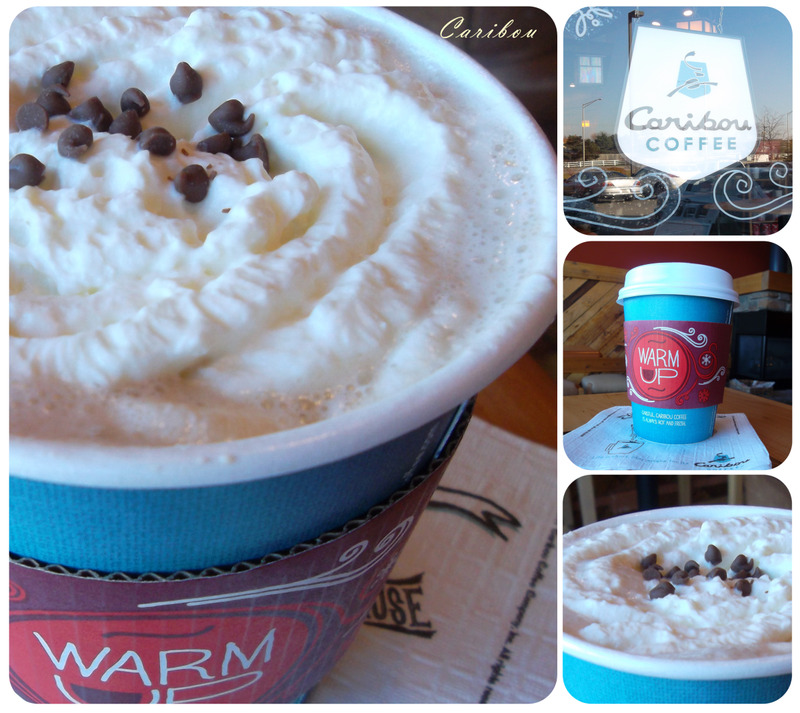 From the moment I entered my local Caribou Coffee shop, I could hardly wait to taste their hot chocolate. With its warm and cozy lodge-like decor—crackling fireplace, leather chairs, rustic wooden floors—how could Caribou Coffee not make the best cocoa? I ordered a small hot chocolate and was given the choice of dark, milk or white chocolate, as well as type of milk; I chose milk chocolate and 2% milk. When I opened the lid I was pleased to see a few mini chocolate chips on top of a generous serving of whipped cream. Caribou Coffee melts chocolate and steams it with milk to create this decadent drink. 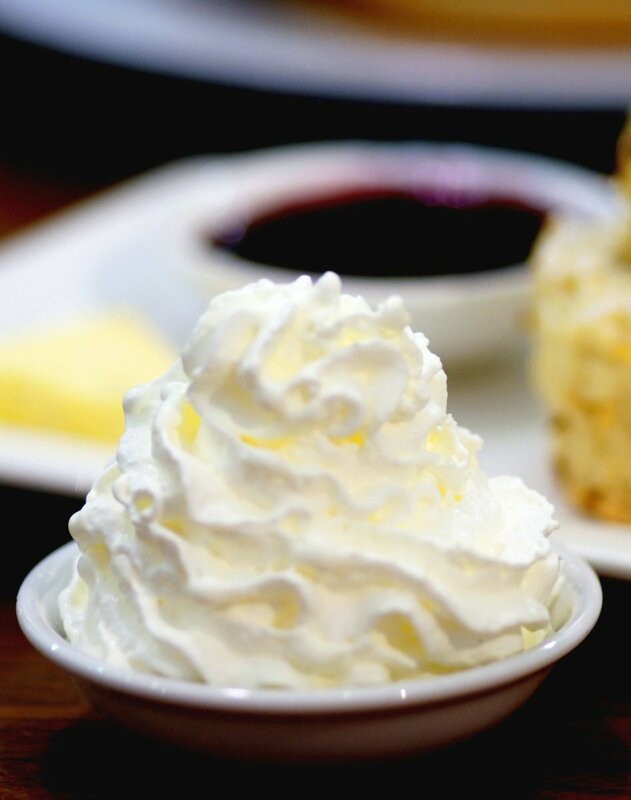 Each whipped cream coated sip is heaven, but at over four-hundred calories and twenty-six grams of fat per cup, this cup is more of a treat than a regular drink. Caribou's version as certainly one of the best I've ever had and will most certainly be going back to order another cup and soak up the heat next to the fire on a cool winter day. "Made with steamed whole or nonfat milk, rich chocolate syrup and topped with whipped cream and a chocolate drizzle." In 2009 the fast food giant McDonald's introduced the McCafe special line of drinks to its U.S. restaurants. Since these drinks tend to be more gourmet, similar to something served at a coffee house, I was eager to have a McCafe version. I ordered a small hot chocolate and was anxious to taste it. When I opened the lid I was flat out disappointed. Not only was there no chocolate drizzle as advertised, but there was no whipped cream! Made with whole milk and chocolate syrup, the drink itself was really creamy and chocolatey. One thing I really liked about it was that it was hotter than others I had tried. Recalling McDonald's jingle, "You deserve a break today," I guess I'll give them a break and try theirs again, but next time I will be sure to ask for whipped cream. "Chocolate lovers from far and wide rave about our rich and delicious Hot Chocolate. It is the classic warm-you-up treat." 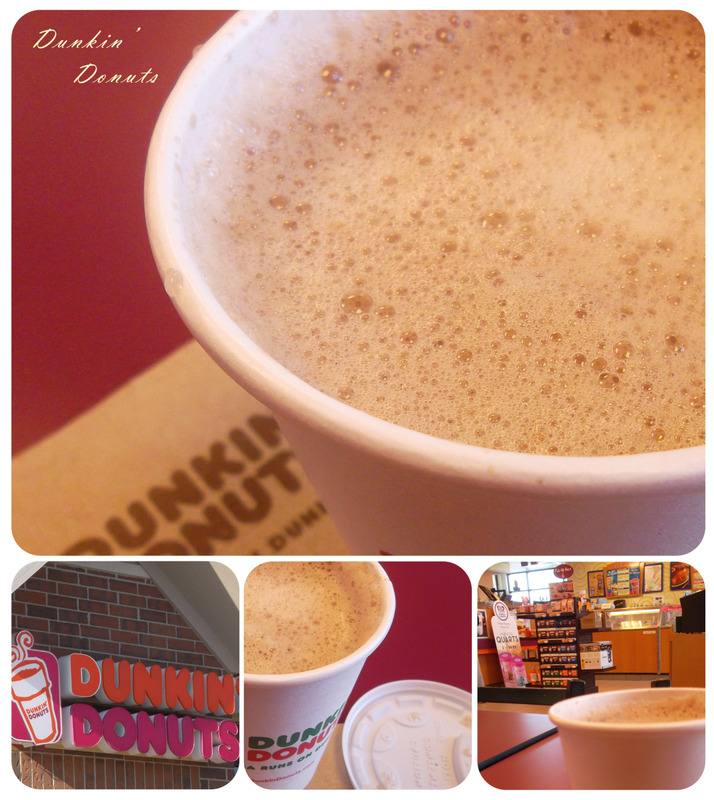 Knowing that Dunkin' Donuts gets a lot of good reviews for its coffee, I was interested to see if their hot chocolate would be the same. I ordered a small original hot chocolate and hoped it was going to taste as good as the over-sized picture of it on the restaurant window looked. After one sip, I had a hard time wrapping my taste buds around the Dunkin Donuts version. It's quite frothy and slightly creamy, yet it did not seem to be made with milk. It was a bit thin but not as thin as an awful water-based cup of hot cocoa usually is. After looking at the ingredients listed on the website it appears that theirs is made with a dry milk product and powders. It's safe to say, I will not be returning for more. What restaurant do you think makes the best hot chocolate? What a beautiful and well-written hub! I love your style. I work at Starbucks, and I definitely enjoy our hot chocolates, but McDonald's new White Hot Chocolate is a huge guilty pleasure of mine. I'm sure I just like it because it's completely loaded with sugar. It's a very hit or miss experience. Sometimes, all of the flavor just pools at the bottom. Sometimes, they serve me a coffee instead. It's a shame that the Caribou coffees around me have shut down, because I'd love to try one of their hot chocolates. Hot chocolate just isn't right unless it has whip cream or marshmallows on top. This is why I picked Starbucks because the whip cream is what makes it the best. Dunkin Donuts, I love your coffee but do you hear me on this one? I have to try Caribou...looks good in the picture. What a cool idea for a hub! 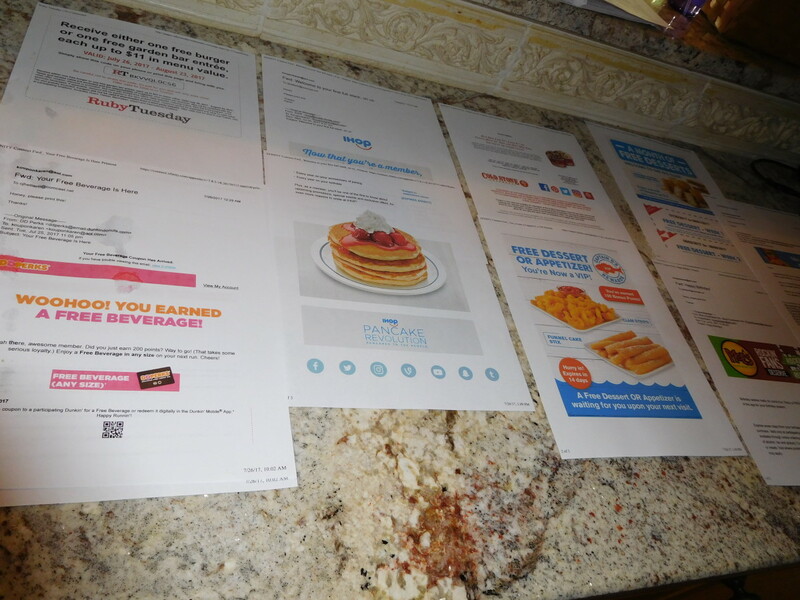 I liked the review of each, the layout and the photos, as well as the nutritional information. This makes me want to go out and order a hot cocoa while it is still Winter! Thanks for sharing this, and have a great day. Since it is cold, and many people will "warm up" to the idea of hot cocoa, I am going to share this. I love hot chocolate at any time of the year. Thanks for the comparisons. I had a better experience with the McDonald's hot chocolate. I do like Starbucks too though. lindacee - Submarino sounds like it melts in your mouth. I think the hot chocolate from Caribou Coffee probably most closely resembles submarino, but that coffee shop isn't everywhere. Thanks for stopping by and for your comment. I love hot chocolate, but typically make mine at home. However, after reading your review, I might have to try some of your picks. I lived in South America (Uruguay) for 3 years and frequently ordered what is known as a "submarino"--steamed milk and a specially formulated chocolate bar that melts into the milk, creating a yummy, hot chocolate beverage. Relationshipc - Apparently there is a lot of good hot chocolate in Canada (based on your comment and previous ones) that I'm missing out on. I never would have tried McDonald's hot chocolate, I will have to give it a whirl. I am a huge fan of white hot chocolate, and Second Cup (I think it's only Canadian) serves the BEST white hot chocolate. petenali - Thanks for the added information. I'm going to check out their website. Thanks torrilyn. Glad you liked having the calorie information too. Although Tim Hortons started in Canada (Tim Horton was a hockey player), there are some Tim Hortons in the states too now... word is out as to how good they are! Great Hub ! I love hot chocolate so much and the fact that you included the calories was a great idea. Voted up. petenali - I believe you're the second person that has mentioned Tim Horton's. I have never heard of that before (maybe it's just a Canada thing) but I will have to check it out. I am presently addicted to the White Hot Chocolate at Tim Hortons here in Canada... beats the tried and true regular HC hands down for me! Thanks Robert. If it got as cold yesterday where you currently live (across Lake Michigan from me) as it did for me then I would say hot chocolate and other hot drinks are no longer enough to warm you up. You're going to need that heater! This is clearly an important hub for this time of year! We are finally getting our heater turned on today, so the last few weeks got drinks have been a big part of our lives. Votes up and sharing this excellent hub. I am excited that you commented on my hub for the simple reason that it has helped me find another awesome writer to read about. I'm glad you enjoyed it Louise. You're right, Caribou is not in London, but who knows, maybe one day. Thanks for your comment. ElleBee - I grew up in New Fairfield, CT which was about a 6 hour drive to D.C. I'm not a coffee drinker, but every time I walk into Caribou Coffee or Starbucks the coffee aroma makes me wish I loved the taste as much. Ktrapp -- I'm in New England. At least 6 hours north of DC and that's if I miss NYC traffic! Maybe I'll just work Caribou Coffee into my next road trip, I haven't had their coffee in quite a while and it is good. Thanks Bill. I like the way restaurants steam the milk with the chocolate or chocolate syrup--much better than what I can make at home. Didn't I see that this won HOTD? If so, congratulations! I don't know if I have ever purchased hot chocolate at a fast food chain. Thanks for the info; I just might have to do that this winter. Extra calories or not, that Caribou sounds delectable!! I think Caribou needs to venture out to the East Coast ASAP! Either that or I need to relocate myself west. Mike - Thanks for the run down on each of the hot chocolates you've had. Hopefully Caribou makes it up to you in Calgary one day and you can try that one too. I didn't know you could get Starbucks extra hot. Thanks for the tip. Starbucks for me. It has flavour and you can get it extra hot also. Mickey D well that is something else, haved drank it on ocassions due to the grandkids birthday parties. We did have dunkin doughnuts in Canada at one time and tried it there no flavour to it. As for the Caribou we do not have that breed here in Canada yet. Glad to help kitkat1141 and thanks. Thank you for including the tables with cost and nutritional content. Great hub for a cold snowy day! Cathy - A candy cane in hot chocolate sounds wonderful. I have never heard of doing that before. During the holidays I like to make sugar cookies with a little frosting and finely crushed candy on top. They are excellent with hot chocolate. Thanks Deb. I have not ever heard of Tim Horton's before. If I ever get the McDonald's hot chocolate again I will be sure and ask for the whipped cream, even though it is supposed to include it and chocolate drizzle. It's part of the McCafe line of drinks. The problem is that I didn't realize that it was wrong until I drove away. Oh well. My son was just telling me how excited he was for Christmas, one of the main reasons is hot chocolate. It is our tradition on Christmas Eve to drink a cup of hot chocolate with a candy cane placed inside the cup. Aldo at some point during the holiday season we usually indulge in a hot chocolate at Starbucks. Nice review on Hot Chocolate. We don't have Caribou. McDonald's I like and you can order it with whipped cream and extras. We have Tim Horton's here and their Hot Chocolate is excellent. Congratulations. Nora411 - I always have to laugh when I drive by DD on my way to work - the drive-through line is long and there is always a police car in it. ( I hope no cops get mad at me.) On a different note, since you live in Chicago like me, do you recall years ago when they had cop cars on the side of the tollway with a dummy dressed as a cop in the front seat. I guess it was supposed to get people to slow down without having to pay an actual cop. The funny thing is, as if that's not weird enough, is that people started leaving boxes of Dunkin Donuts on the hood of the police car. Only in Chicago. Thanks for stopping by again. Thanks Vicki. I know a lot of people could learn from you and save a lot of money by eliminating routinely buying expensive coffees on a regular basis. You're so smart to be frugal where you can. What great reviews! That Caribou one looks delicious. I don't know if we have one around here. I don't get out much--LOL. I'm so frugal that I rarely buy even a cup of coffee away from home. That hot chocolate is tempting, though. Great photos! Congrats on HOTD! Thanks savingkathy - Very fun actually! I checked, no Caribou Coffee in Canada, but they're in a lot of the great lakes states near the border :) Minnesota (their headquarters) has the most, over two-hundred. They're only in a few other countries (South Korea, Turkey, Kuwait, Saudia Arabia, Jordan, Bahrain, UAE, and a few more). Thanks ComfortB. After looking at these pics on and off throughout the day I would have gone and gotten a cup if it wasn't relatively warm and sunny today. This one must have been a fun one to research! Congratulations on your Hub of the Day. I love the pictures and the descriptions - the Caribou Coffee one sounds delicious! I don't think we have those in Canada, which is probably a good thing! Even though I'm not a hot chocolate fan, the images of the Starbuck's got me craving something sweet and chocolaty. "One cup of Cappuccino, please!" Great hub. Voted up. And congrats on the HOTD award. johndnathan - Oh I'm sure you will. I visit the McKinney/Frisco area. I will have to look for "The Coffee Bean & Tea Leaf" next time I'm there. Of course I have "The Coffee Bean & Tea Leaf", which is probably the best coffee and tea I've ever had, just a mile from my place, so I think I'll be all right. Caribou Coffee's headquarters are in MN so I bet it was easy to stumble across one of their shops. I'm starting to see more and more of them opening in the Chicago area. 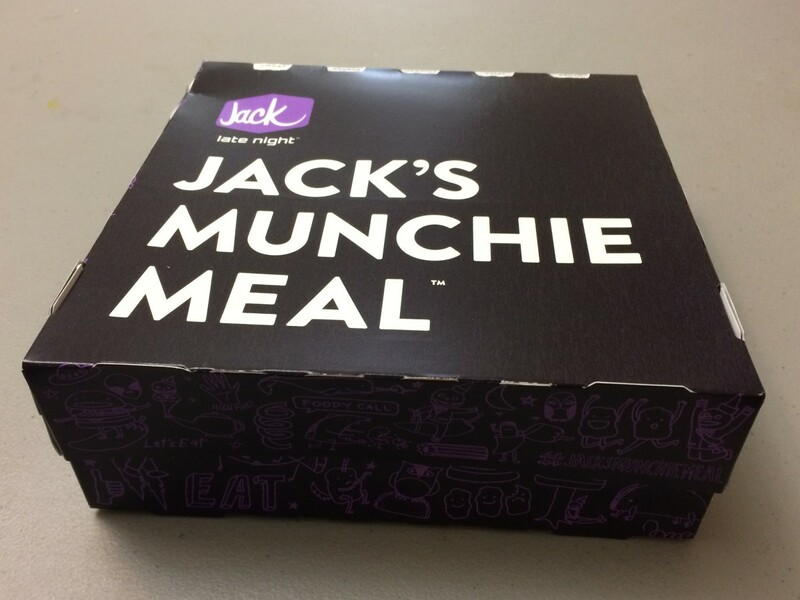 They do have 500 locations; maybe they'll open one in Dallas. I got to sample Caribou Coffee when I visited Minneapolis, and love it dearly. After I got back home I learned there is sadly no Caribou Coffee anywhere near Dallas, Texas. Gail that's really nice of you to say all that and to stop by and tell me so. You can't miss with Ghirardelli and they have a variety of flavors too (but plain chocolate is all I need). Thanks again. moonlake - That's what I wanted to know when I took the lid off my McDonald's hot chocolate, "What's the deal?" I have to have whipped cream. I like the sweetness it adds and the cool mixed with the hot. Thanks for your comment and vote. Thanks Denise. I appreciate you stopping back by to offer congratulations. Thanks Nora. I see you prefer DD coffee to Starbucks in one of your Hubs. I'm not a coffee drinker, but to me there's nothing like a cup of hot tea to begin each day and a cup of hot chocolate occasionally in the winter. Came back to wish you congratulations on getting HOTD recognition for this professionally done hub. This is a great example of how delightful photos and specific comparisons through use of tables can make a review stand out from the pack! Also, thanks for your tips about using skim milk and Ghirardelli when making hot chocolate at home. Will have to try it. Congrats on Hub of the Day. I have only had McDonald's hot chocolate but what's the deal with them not putting whipped cream and a chocolate drizzle, that's my favorite part. We don't have any of the other places available here just McDonald's I'll have to try Starbucks when we do our Christmas shopping in a bigger city. Voted up. Congratulations on your HOTD award-a great selection! Thanks summerberrie. I hope anyone who enjoys a good cup of hot chocolate every now and then finds this information useful. There's nothing worse than ordering some and being served a cup of brown water. I'm glad you liked the pictures too. The snowy scene in the first one is from my backyard last winter and it reminds me that winter and all the good things that come with it, is on its way. 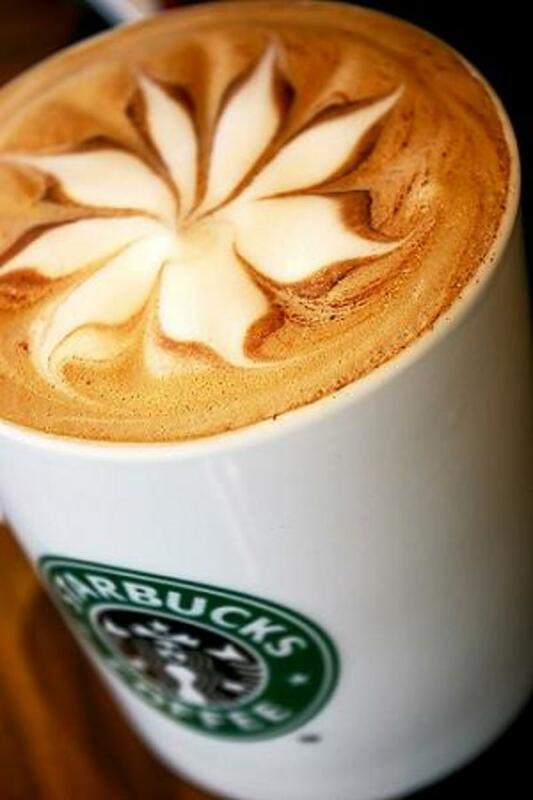 Every time I see the photo of the Starbucks hot chocolate I want to get in my car and go get more! Junaid - I'm glad you enjoyed this hot chocolate Hub enough to make you want some. Thanks for your comment. A great hub all the way around. Useful information and beautiful pictures. Congrats on the HOTD. Well done. RTalloni - It is a tough life, I know :) but it had to be done. Thanks for your comment and kind words. intenpete - Yes it is! I'm glad I inspired you to try Caribou's hot chocolate. Very Nice Hub, I really enjoyed your writing style and research you put forward for different chocolate deals. It made my mouth watery. A hot chocolate tour? Tough life… ;) Congrats on your Hub of the Day award for a super evaluation of these brands! Well done in every way. It is always important to know where to get a good cup of hot chocolate! I have not tried Caribou Coffee hot chocolate but after reading this I will certainly give it a try next time I see one. Great Hub! Thanks Cyndi10. I had a lot of fun taking the hot chocolate photos and picking out which ones to use, but even more fun taste-testing. I'm glad you liked the comparison. Sarah - I have to say I'm not that big of a fan of white chocolate; it tastes a bit like sour milk to me, but how interesting that you don't like it either but find Dunkin' Donuts white hot chocolate amazing. I see they also have a mint hot chocolate too. Thanks for your comment. Wonderfully written review with great visuals to match. I love hot chocolate and it is nice to have a comparison. Congrats on Hub of the Day. Great hub! I also appreciated your inclusion of the nutritional information. While I agree with most of the commenters that Starbucks has great cocoa, the best I've tried is the white hot chocolate from Dunkins. As a Seattle native, it pains me to say that! I don't even like white chocolate normally, but the white hot chocolate from Dunkins is amazing! cclitgirl - Searching for a Starbucks is a bit of an oxymoron, at least where I live. Off the top of my head, I can come up with at least five Starbucks located within several miles of where I live. But that's not a bad thing. I'm glad you liked this Hub. Thanks for your comment. 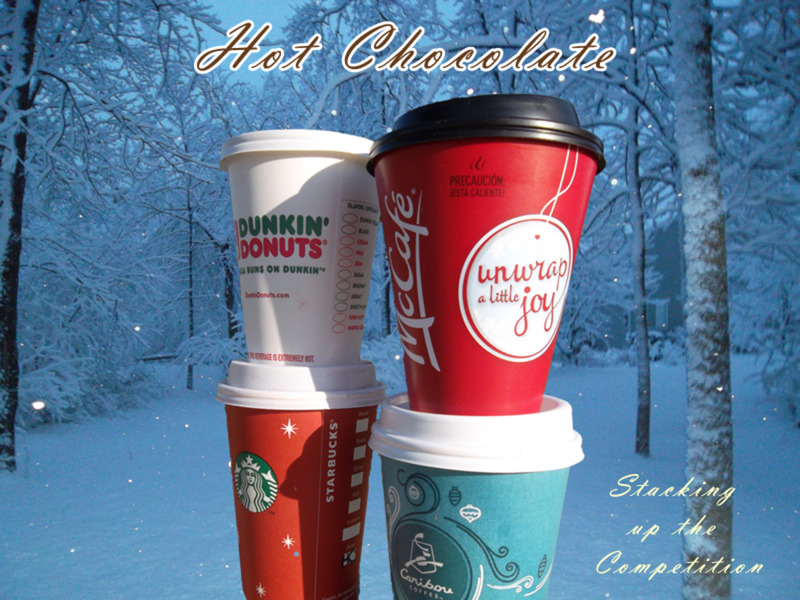 healthwealthmusic - Doesn't that photo of the melting whipped cream in the Starbucks hot chocolate just make you want a cup? It is a bit of a treat though. Normally for a hot drink I have hot tea which is virtually calorie-less, so a Starbucks hot chocolate is a nice change every now and then. Thanks for your comment. Over four-hundred calories is a lot for a cup of hot chocolate, I think Caribou almost needs an extra small size. 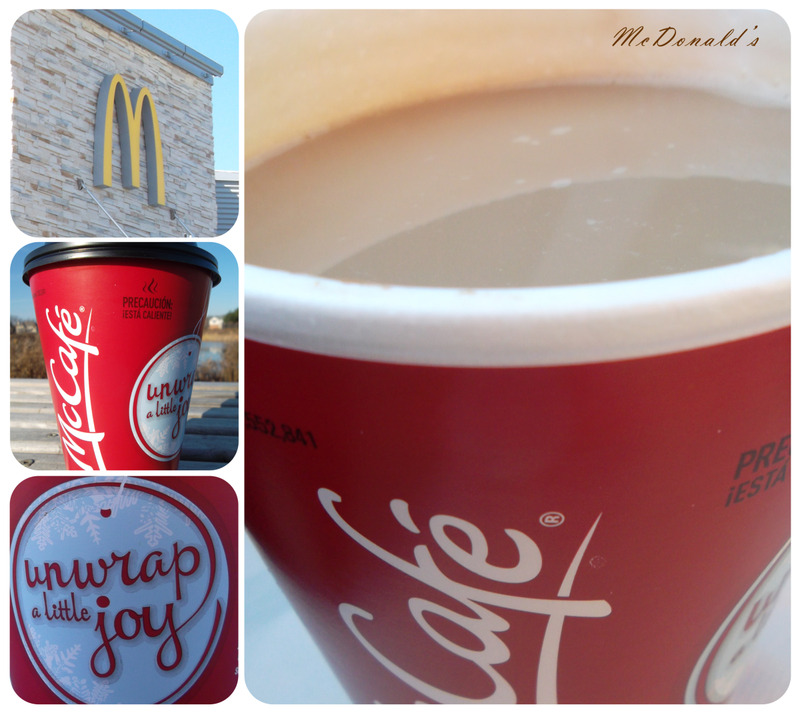 I'm going to give McDonald's a second chance because the hot chocolate itself was very good. I was so bummed that they left the whipped cream off. You know Glimmer Twin Fan, it was a tough "assignment" but someone had to do it. Thanks for the kind words. leahlefler - Caribou Coffee is based out of MN and I see they have a few locations in the Pittsburgh area, but not yet New York. Global-Chica commented earlier that they are located in D.C. So be on the lookout for a CC as they do seem to be growing. What's nice about Caribou Coffee is that many of them have a fireplace so you can cozy up to the fire there with a good cup of hot chocolate, coffee or tea. Thanks vespawoolf. At the moment, Caribou Coffee has 500 locations, but seem to be rapidly expanding. They're in a few countries besides the U.S. (Turkey, Kuwait, UAE) but sadly, not Peru where you are. Thank you for breaking down all the different locations for getting hot chocolate! I will now know where to get my next cup when I decide I need a treat :) Form your descriptions - I believe I will pick Starbucks! great and honest review - awesome job! I love hot chocolate, but 410 calories for a cup of Caribou is too rich for me! 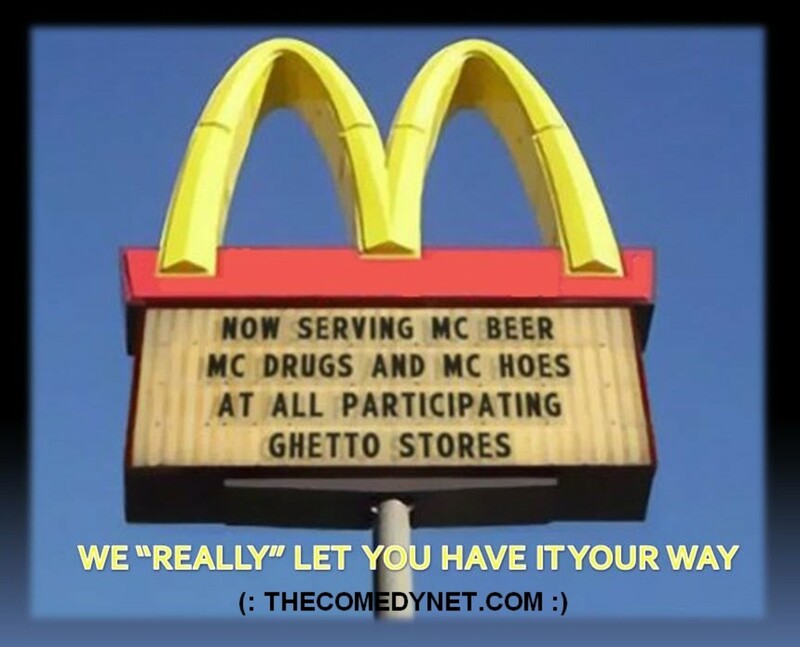 Think I'll try the McDonald's and make sure they add the whipped cream. Delicious HOTD. Awesome review and I bet it was hard doing the research ;-). Your photos are great as are the write ups. I think I'll have to go get some hot chocolate today. Congrats on your HOTD. Starbucks definitely makes a good cup of hot cocoa. I wish we had a Caribou in my town - I'd love to try it! There is nothing better than a rich cup of hot chocolate on a snowy, wintry day. I love your pictures - they make me want to cozy up in front of the fireplace with a cup of cocoa! Congrats on HOTD! I'm sorry to say I've never heard of Caribou, but you can be sure when I find it that I'll be trying their hot chocolate! This is a great review and I enjoyed reading it. What a professional review and the photos were awesome, especially the first one! I love hot chocolate but usually only drink the low fat, low sugar variety at home, made from a Nestle's packet. It warms me up, but is far from a decadent experience. Enjoyed your review, however, and though I never go to Starbucks, I might go once just to try their hot chocolate on a cold day. Voted up across the board except for funny and shared with followers and on FB. Jill - Thanks for your comment and votes and I'm certainly glad you enjoyed it. twoseven - I often have a love/hate relationship with nutritional information. I want to see it, but I know it may spoil a good thing. I do like how a lot of the websites let you pick and choose the ingredients and calculate the nutritional value for exactly what you would order. Great hub! I especially appreciate having all the nutritional info. I have always loved starbucks hot chocolate, and it looks like I am not alone! I know what you mean divacratus - I've been wanting hot chocolate all week after working on this Hub about it and seeing the pictures over and over. The melting whipped cream in the Starbucks cup gets to me the most. Rebecca - There can definitely be a big difference in calories between hot chocolate from different restaurants. What's nice is that many of their websites allow you to select your ingredients (i.e. 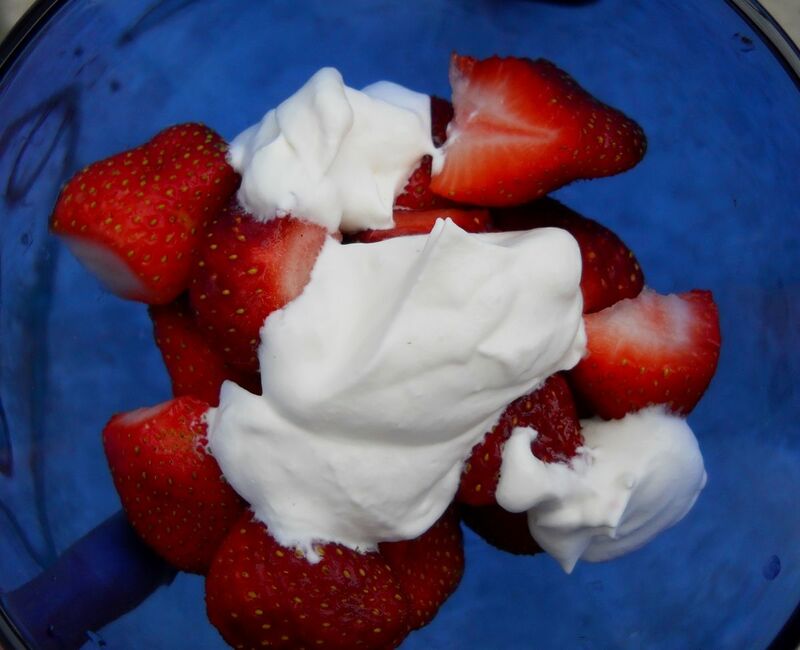 non-fat, 2% or whole milk; whipped cream or no whipped cream) and then calculate the calories. Thanks Denise. It's too bad you can't enjoy the creaminess of a milk-based hot chocolate, but good that you've found one you like. At home I like the Ghirardelli brand of hot chocolate which comes in a variety of flavors, but I'm not sure how it would be with water. Thanks for your comment, votes and sharing. Nice information! I have tried hot chocolate from Starbucks and I've loved it, but got to try the others - especially the one from Caribou. The pics made me crave for a cuppa. Great job giving us lots of information on the hot chocolates to go. It just turned warm here and this really makes me want hot chocolate I want to go in my pajamas so I choose a good drive-thru. Considering the calorie difference, I think I will stick to MacDonalds or Dunckin Donuts. I will try the other two later! I don't drink Starbucks b/c it's made with milk,and it would upset my stomach. So, my choice has been the IHOP h.c. which hits the spot. It doesn't upset my stomach, so I'm thinking it is hot water and chocolate with PLENTY of whipped cream, lol. Otherwise, I drink Swiss Miss French Vanilla flavor. Rated UP/Awesome. sharing. That's too funny eHealer. I would love to do the same, but it's so cold and windy today where I am near Chicago that I don't even want to leave the house. If I do leave later though, I am definitely going to go to get a Starbucks hot chocolate. I'm glad you enjoyed the photos. I had fun taking them, and of course drinking the hot chocolate. Ktrapp, I want you to know I had to come back and write this after opening your hub because I had to go get hot chocalate!!! The photos are stunning and so inviting! Great work and very informative!! Thanks Global-Chica. You definitely have to go to Caribou Coffee! The locations near me all have a nice woodsy feel that just makes you want to sit back and kick your feet up - which you can easily do since they have chairs and a coffee table with newspapers strewn about, inviting you to stay. Not only was the hot chocolate one of the best, but the staff was so friendly and knowledgeable. I would love to hear back if you get the chance to give it a try. Thanks for your comment and compliment on the photos too. I recently moved to Washington, DC and have a Caribou Coffee by me and although I've been getting hot chocolate from Starbucks, which I loe, your review makes me eager to try Caribou Coffees. Thanks for the awesome review. Love the layout and photos!